After the Greatest Royal Rumble and the madness that is Wrestlemania betting, we’re back to slim pickings for this month at Backlash. There are markets out there, but jeez it isn’t as populous as those two shows. However, I’ve taken a look and I think there is some value to be had in the markets, but not much. Nevertheless, you don’t want me wittering. 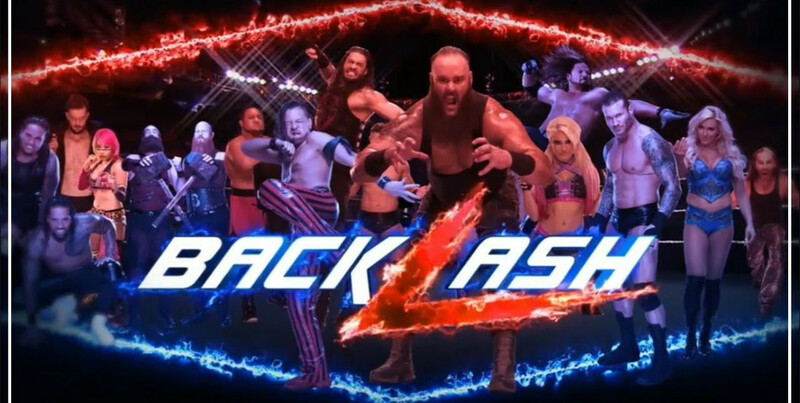 Here are my WWE Backlash 2018 Betting Tips. I’ve gone for 3 bets for my Backlash Betting Slip. I’ve gone for Shinsuke Nakamura to beat AJ Styles to finally become WWE Champion and cement his heel run. The match is no DQ so I’m feeling that this will be low-blow central. The best odds you can find are 4/6 with Boylesports. Next up, Carmella to beat Charlotte Flair is quite a long shot. I feel IIconics will get involved somehow, and maybe a DQ win for Camella may happen. I’m not sure, but I cannot see them taking the belt from the Queen of Staten Island just yet. For this, the best odds is even money with Boylesports. Finally, I’ve gone for Jeff Hardy to beat Randy Orton for the US Title. I cannot see the purpose of putting the US Title back on Orton, plus Orton can be a good opponent for Nakamura to cement his title run. You can get 8/13 with Boylesports for this to happen. So as I said, a bit slim pickings, but there are markets for all matches out there. Here’s the best price on each. For Seth Rollins to retain the Intercontinental Championship against The Miz the best price is 2/9 with Boylesports. For Nia Jax to retain the Raw Women’s Championship against Alexa Bliss the best price is 1/6 with Boylesports. For the Big Dog Roman Reigns to get back into the winning column and beat Samoa Joe you can get 2/7 with Boylesports. For Daniel Bryan to beat Big Cass and continue his march to The Miz you can get 4/9 with Boylesports. Finally, for the team of Bobby Lashley & Braun Strowman to beat Kevin Owens & Sami Zayn, you can get 1/5 with Boylesports, Betway and 1xBet.